Hi Bruno! I was just thinking about you. I hope all is well, or some of it is well, or something like that! Alas, everything is not well. 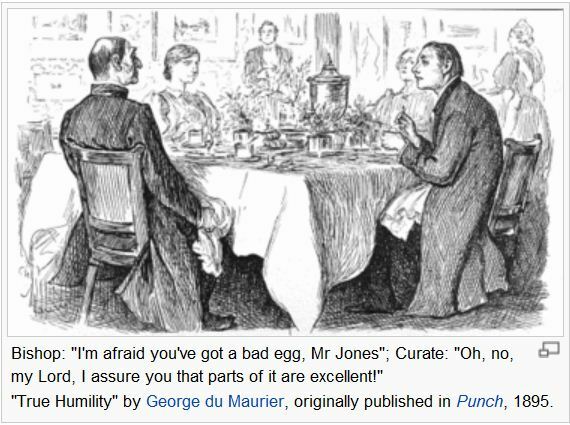 But, as with the curate's egg, parts of it are OK, I guess. We'll live. I wonder if that would work in pulse-jet engines. Isn't reducing the sound produced the same as reducing the sound energy the engine needs to function? metiz wrote: I wonder if that would work in pulse-jet engines. Isn't reducing the sound produced the same as reducing the sound energy the engine needs to function? It probably is. However, there may still be payoff there. All engineering is compromise of one kind or another. There may be a sweet spot where noise is cut just enough to become acceptable, while the whole thing still works acceptably well. I remember an old low-tech solution that reportedly worked well. Someone (damned if I remember who) used a double walled intake tube. The inner wall was perforated with hundreds of small holes. The chamber between the inner and outer wall functioned as a kind of sound absorber. Not much different from the principle of the gun silencer, really. Naw, sound energy isn't needed for the function of the engines. You basically have a pressure source, and the pressure drops with distance from the source. The closer the pressure is released to the source, the higher the over pressure release will be. If most of the pressure is converted to mass flow the over pressure can be decreased, the noise level will become less. Augmented-straight pipe-fraction engines are about the most quiet I have observed. I've actually talked on the phone while one was running next to me. Admittedly the static thrust is fairly low, but the velocities were still present, and the fuel consumption rate was low. The blended bodies put off a nasty over pressure at the intake gap between the augmentor and the intake flare. Thats a key area I think suppression would well be utilized. "future work required "
Bruno its good to see you around, hope all is well. As the running engine goes on with his first BANG, this "bang" travels from the tail pipe into the cavity towards the engine's front to then get reflected and travel back toward the tail pipe. As it reaches the tail pipe, it does it while the engine is doing another "Bang", both "Bang" cancelling each other to some degree (Degree = level of geometric imperfection = Timing imperfection ...ect ...ect ...ect). Of coarse, the cancelling effect being "Imperfect", you then get a continuous supply of "BANGS" being produced by they engine and partially cancelled that travels back and forth in this cavity and cancelling other new "BANGS" ... Thus ... You then not only get engine noise reduction, but also "Acoustic Decoupling" where the engine become less sensitive to the surounding elements and/or structures. I have seen better results in not cancelling sound with sound. That would reduce the pressure somewhere, pressure that was developed at the cost of fuel. It is better in my opinion to convert as much pressure possible directly to mass flow before it is released. Not fancy, and not new, but it works. When I say "Reaches the tail pipe", I mean "Reaches the Tail Pipe Outlet" and at this point, you have ALL the "Pressure" you could get from that "Fuel" and you're now back to "Ambient" pressure. Maybe you're not visualizing what I'm saying, so I try to be more clear. Try to visualize a 1" diameter X 24" long "Closed End" tube, inserted into a 2" diameter X 24" long "Close End" tube. Although The smaller tube is into the larger tube, they are both; Closed at one end and open to the other end, both the same length and both are independant to each other. We probably have our wires crossed so lets look at the example to clarify. I think this is what you had proposed a 1" pipe within a 2" pipe, each at 24" length and each with a closed end? Are the capped ends in the correct configuration? PyroJoe wrote: We probably have our wires crossed so lets look at the example to clarify. I think this is what you had proposed a 1" pipe within a 2" pipe, each at 24" length and each with a closed end? Are the capped ends in the correct configuration? Ok, I have flipped it around, now where is the contact to be? I think I can help illustrate what luc is talking about in a general sense with the attached illustration of basic methods. What got me deep into pulse-jets in the first place was the seeming impossibility of removing the noise from the pulsejet. Any way you care to look at it, you can't separate "sound" from pressure oscillations. they are synonymous, and the one you need to be so energetic is the fundamental. In most of my small motors, it's at 200 Hz plus. Since working on single engine approaches, I had diverted to cluster engines, so spent all my time on smaller motors. The not-so-original thought being driving the frequency up, and virtually driving that frequency up by them adopting random phasing. Enforcing a specific (semi cancelling, like in pairs or 3-phase) phasing hasn't been easily achievable with a DIY'er skill set. PyroJoe wrote: Ok, I have flipped it around, now where is the contact to be? Yes, sound and pressure synonymous. To this I ask, what drives mass acceleration? Why would we see peak +pressures near 30 psi in the CC and only +5 psi peak at the tail openings, dumping out as an overpressure? what happened to that other +25 psi? Ok, got it i think. What would we like to see next? Last edited by PyroJoe on Tue May 08, 2012 5:43 pm, edited 1 time in total.